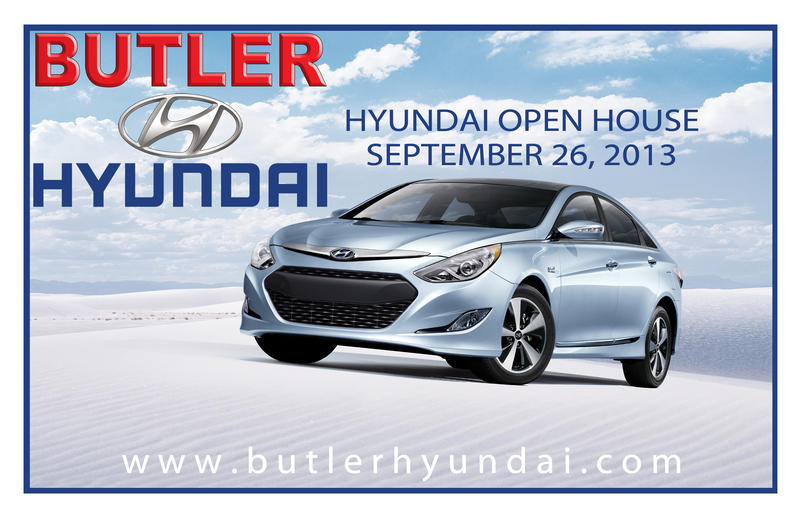 It’s been almost 7 months since our last Butler Hyundai Owner’s Open House and we are feelin’ it! We dislike being out of contact with our customers that long and look forward to chatting face-to-face again and getting caught up. 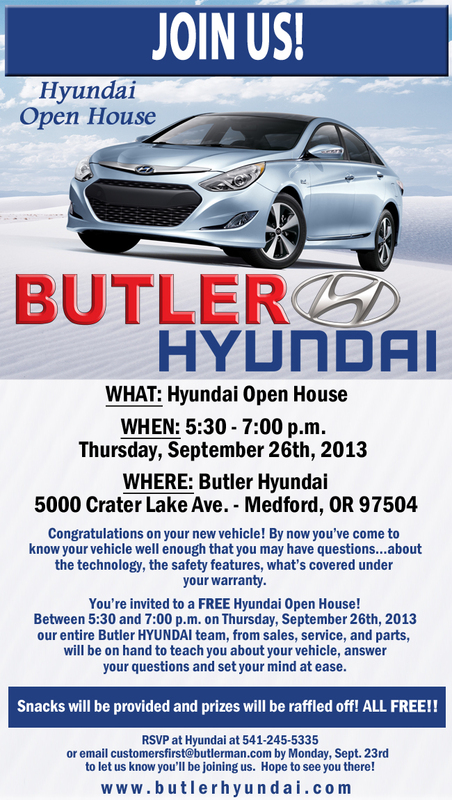 If you’ve purchased any vehicle or had service work done at Butler Hyundai in Medford, you’re invited! The party’s Thursday, September 26th. All we ask is that you RSVP a couple days ahead of time so we can be prepared with enough food for everyone. See you then!